Since Hurricane Maria's landfall in September 2017, Governor Cuomo has continuously directed critical resources to communities in need. New York established the Empire State Relief and Recovery Effort, ultimately distributing at least 4,400 pallets of supplies collected from 13 donations sites across the state. New York State also deployed more than 1,000 personnel, including hundreds of utility workers and power experts to help with power restoration and grid stabilization. In December 2017, Governors Cuomo and Rosselló, and members of the New York Congressional Delegation released a Build Back Better Assessment Report that called for a $94.4 billion federal aid package to help Puerto Rico build back stronger. 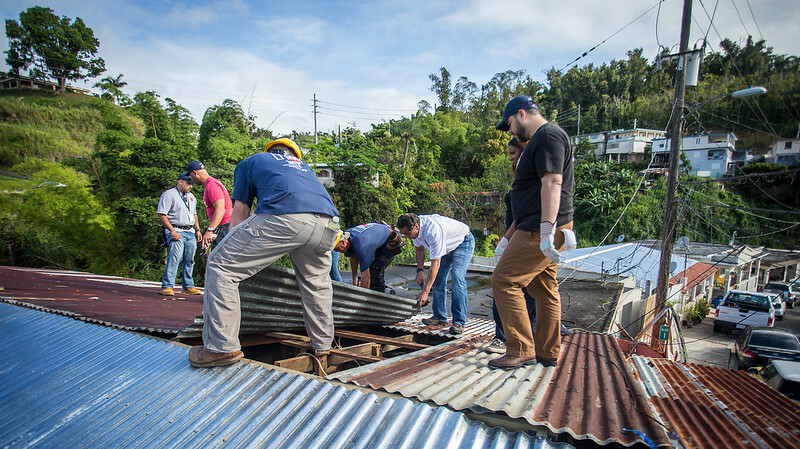 In May 2018, more than 500 SUNY Maritime College cadets and approximately 50 SUNY students volunteered with local non-profit rebuilding organizations, removing debris and preparing roofs for construction in the greater San Juan area. New York will never turn our backs on Puerto Rico and we will stand with our brothers and sisters until the job is done. "We will continue to support the people of Puerto Rico until the island is rebuilt and recovered." Governor Cuomo announced an expansion of the successful initiative, committing to deploy additional volunteers and launching a mental health initiative for those still suffering. Several displaced Puerto Ricans living in NY will serve as plaintiffs in a suit against the federal government for failure to provide resources & relief following Hurricane Maria. The new Commission will provide recommendations on the establishment of a memorial honoring the victims and survivors of Hurricane Maria and the resilience of the Puerto Rican community. Launched in April 2018, NYS will have mobilized 500+ SUNY and CUNY student volunteers and 100+ skilled labor volunteers by the end of the summer. Student volunteers deploy for 2 weeks at a time and have the opportunity to earn college credits. Volunteers with the New York Building and Construction Trades deploy in 1 to 2 week waves throughout the summer. With 90 homes restored and rebuilt as of mid-July, New York is on target to reach its goal of 150 homes renovated through the initiative. New Yorkers rallied together to call on the federal government in support of the more than three million American citizens who call Puerto Rico home. The State conducted an assessment of the island-wide devestation and identified specific funding recommendations to rebuild. Stay informed on what New York State is doing to help Puerto Rico and the U.S. Virgin Islands recover and rebuild in the aftermath of Hurricanes Maria and Irma. "WHEN ONE AMERICAN IS IN TROUBLE, WE ARE ALL THERE, BECAUSE WE ARE ONE." See how New York continues to help hurricane-ravaged Puerto Rico recover and rebuild. Get information about how you can volunteer or make a donation to aid in the recovery and relief efforts in Puerto Rico. Information and assistance for those displaced from Puerto Rico and the U.S. Virgin Islands.